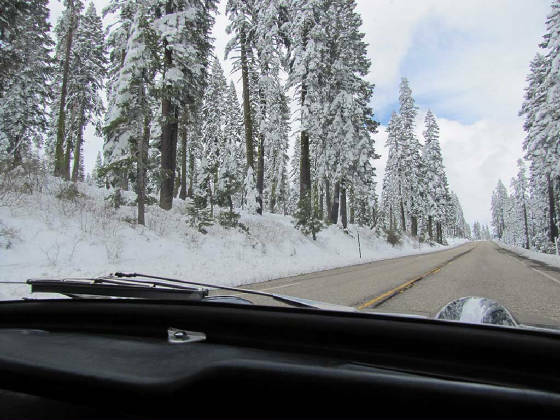 The Snowball Rally is a winter themed vintage rally from rally veteran Jeff Guzaitis, founder and organizer of the California Melee and Moto Melee Classic rallies, as well as a five-time participant of the Alpine 500. 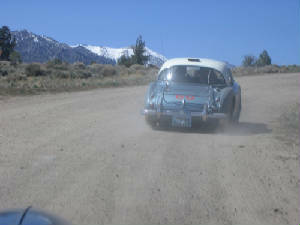 The aim of the Snowball Rally is to continue the successful tradition of the Alpine 500, but with a few unique twists to set it apart. Open to pre-1980 sports and touring cars, the Snowball Rally is a non-competitive rally/tour for vintage sports car enthusiasts who prefer driving their classics over polishing them. Total cost for the weekend is $335, which covers the driver's and one navigator's entries, two t-shirts, two patches, a rally plate, rally decals, route pages, two tickets to the awards banquet, and much more. The rally officially begins April 27th, in Sacramento Ca. but a special night stage will begin in San Francisco on the night of April 26th. The plan is to leave late Friday afternoon from an undisclosed location (participants will be notified on their acceptance letters), and travel with all lights blazing over uncharted backroads to Sacramento. Once there, a traditional kick-off party will ensue for participants as well as spectators. Overnight accommodations will be the responsibility of the night stage participants, but we will offer recommendations. The next morning, the remaining entrants will converge on the starting line for an early AM departure. The day's route will take us through historic Gold Country, into Nevada, and culminate at the North Shore of Lake Tahoe. Day two is comprised of a roundabout return to the Sacramento area for the gala awards banquet, where great food and mediocre prizes will be dispensed. The Snowball Rally is designed to take advantage of the beautiful spring Sierra weather, but remember, it can be unpredictable. Ice and snow are as common as bright sunshine, and the event will run regardless. You may be required to carry chains, or a tank top. We will monitor the weather as the event approaches, and post updates on this website. If you and your vehicle are up to the challenge... Join us!